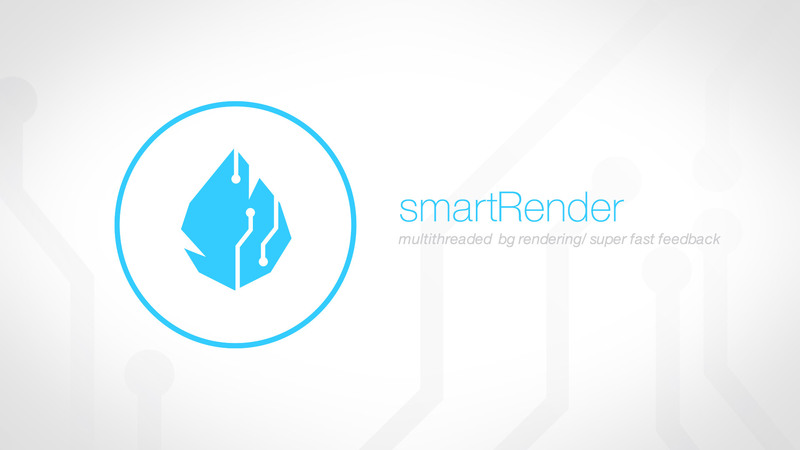 smartRender lets you reduce your rendering times and makes rendering dramatically faster compared to the standard rendering process. 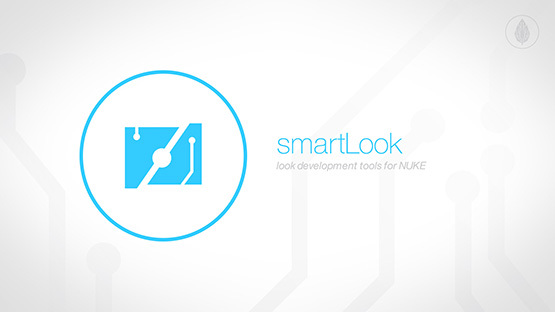 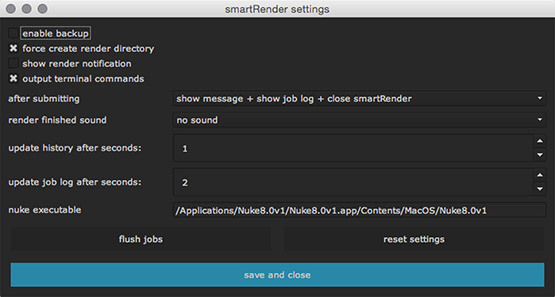 It uses all your hardware resources efficiently to speed up the processing. 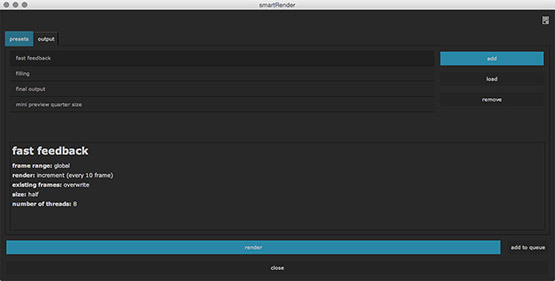 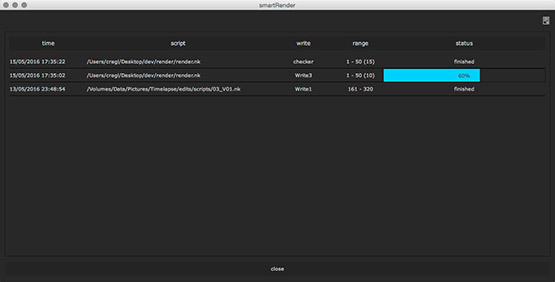 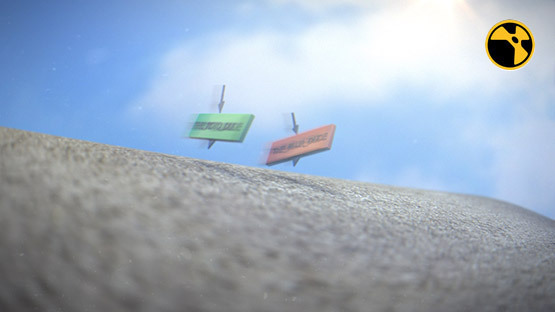 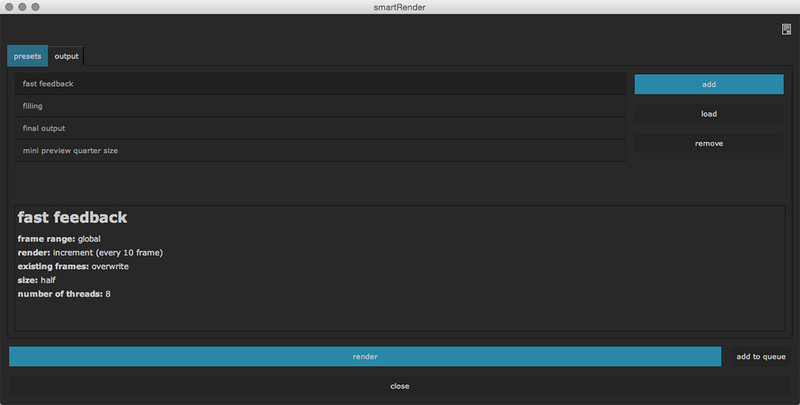 smartRender supports the ability to speed up preview renderings. 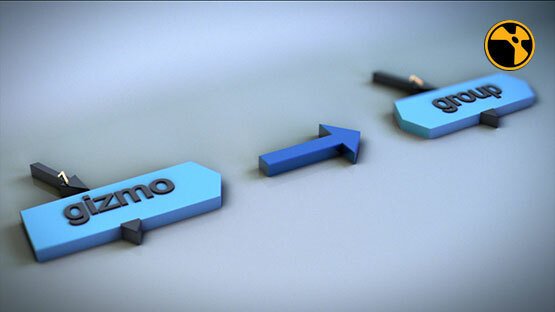 While your comp is work in progress where you want to get instant feedback you can use incremental renderings and down scalings to get get your previews in seconds instead of waiting for some minutes. 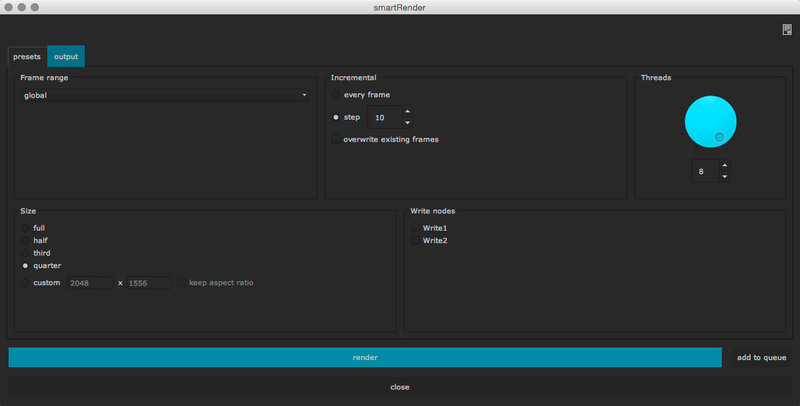 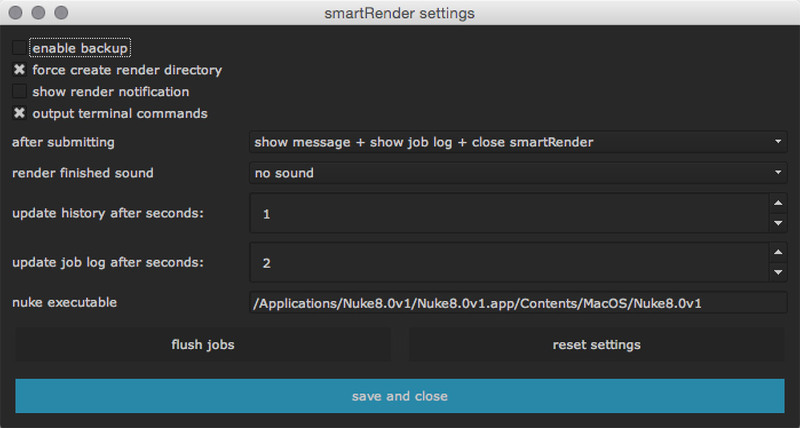 ssmartRender works out of the box producing fast renderings but if you have some programing experience you can even edit, change and customize smartRender's processing commands so you can fully customize it to your needs.